Please follow the transportation limit of 15 gallons or 125 pounds of hazardous waste per trip when driving your HHW/E-waste to the County permanent centers or collection events for disposal. Business hazardous waste and electronic waste is not accepted at the County permanent centers or collection events. If you are a small business with hazardous waste, you may qualify for the City of L.A.'s Small Quantity Generator Program or visit www.businessrecycling.com to locate a proper recycler. All residents of Los Angeles County may utilize the City of Los Angeles S.A.F.E. permanent collection centers (various), the Antelope Valley Environmental Collection Center (in Palmdale) or the EDCO Recycling and Transfer Center (in Signal Hill) to properly dispose of HHW/E-Waste FREE of charge. All residents of Los Angeles County may also utilize mobile, one-day collection events throughout the County to properly dispose of HHW/E-Waste FREE of charge. Events are from 9:00 a.m. to 3:00 p.m. (unless otherwise noted). Rain or shine, collection events will be held as scheduled below. Click here for a printable flyer. Periodically, new dates and locations are added to this Schedule, so check this page frequently or sign up for E-Notify to receive automatic notifications of new events. Please also read more about our HHW/E-Waste Collection Events before attending an event. NOTE: Any and all Electronic Waste we collect at these events is sent to a facility within the State of California that certifies that it is 100% demanufactured and recycled in a stringent and environmentally acceptable manner to the commodity level in the United States. No Electronic Waste collected at these events is sent overseas. To improve services to the public, participants are asked to complete a short survey at the events. To expedite this process, please print (English or Spanish) and bring your completed survey to the event. 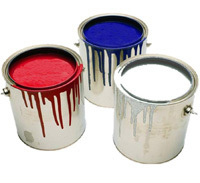 PAINT RECYCLING MADE CONVENIENT... California residents and businesses can now recycle leftover paint for free at local retail stores. For program details and locations, visit www.PaintCare.org or call 855-724-6809.